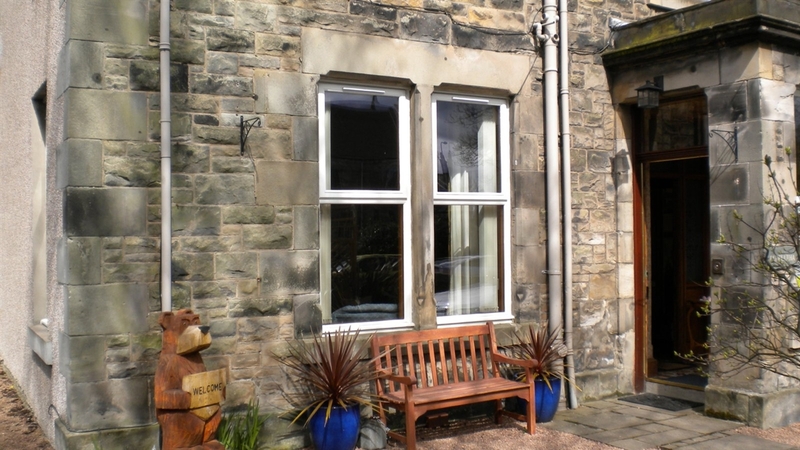 Dunclutha guest house was already a running business when Richard and Julie bought the property,the Victorian house being formally the manse for St Margaret's church next door, moving from the Lake District with little to no experience they have worked hard to provide their guests with a warm and friendly welcome, their two cats also provide part of that welcome committee. 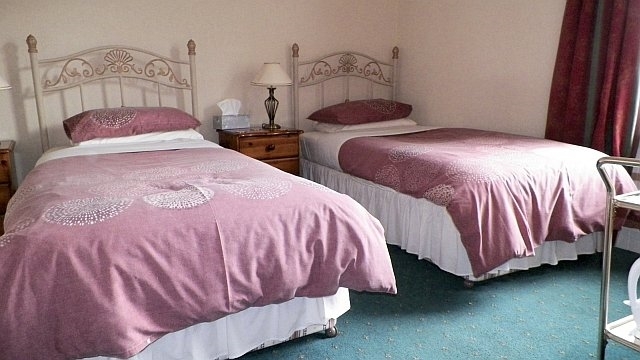 They have four en-suite rooms and a further room which has a private bathroom. 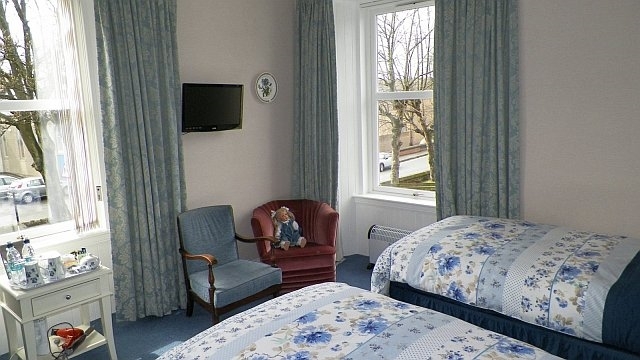 Tea/coffee making facilities are in all rooms with fresh milk offered, and homemade shortbread too. 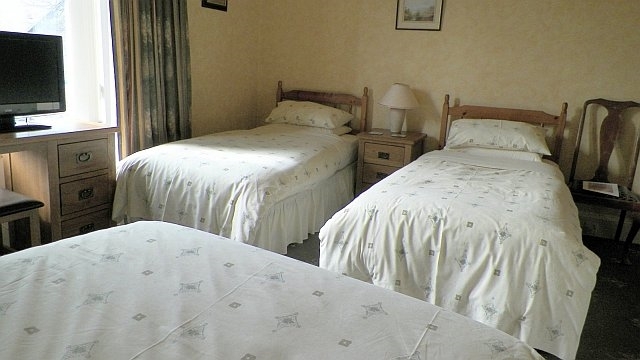 Free view TVs are in all bedrooms along with toiletries and bottled water and Free WiFi is available throughout the house. 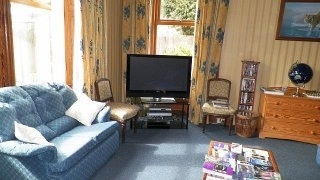 The guest lounge can be used to read, watch TV, play games or sit and chat after a hard days sightseeing or walking. 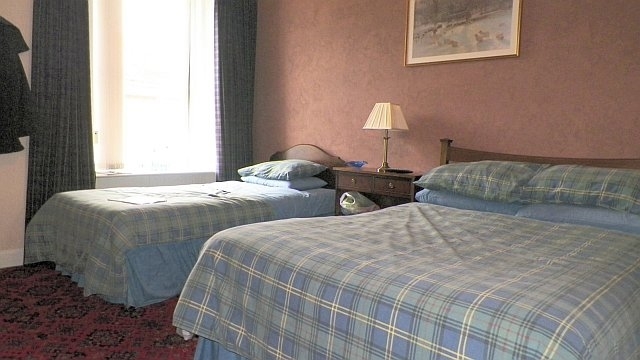 Guests can choose bed and breakfast or room only options to suit their individual needs. 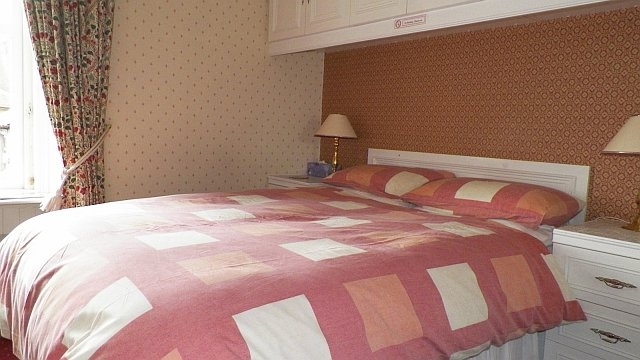 Single traveller rates are available for all rooms. Dunclutha is strictly non smoking but a smoking area is provided at the front of the property with seating. 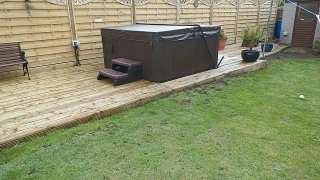 Although in the centre of town this old property offers a lovely quiet relaxing stay, with lots of old and new features to offer including a hot tub to ease those aching muscles for walkers, or Just to relax in with a glass of wine! 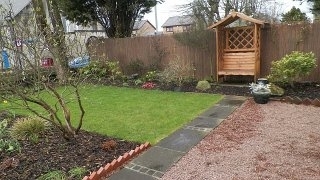 The enclosed rear garden can also be used to enjoy the evening sun. The dining room is open from 7.00 am to 9.30 am but earlier times can be accommodated by prior arrangement. Homemade jams/marmalades can be enjoyed with breakfast, with fresh fruit and a variety of cereals as well as a full cooked breakfast. Special diets can also be catered for. 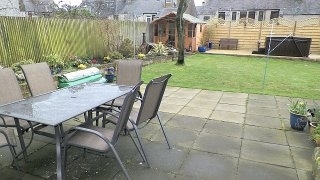 Situated in the centre of Leven, it's easily accessible to restaurants and bars. The bus station is at the bottom of the high street just a 5 minute walk away and has regular buses all along the coast or as far as Edinburgh or Glasgow. The taxi rank is also in the same area. Just across the road from the bus station is Levenmouth leisure centre where you can have a swim, use the gym or relax in the jacuzzi. A lovely walk along the beach can be enjoyed by all and forms part of the Fife coastal path which starts in South queensferry and finishes in Tayport, Dundee for those of you feeling energetic. Scotland's Secret Bunker is just 15 miles away, the underground Cold War bunker museum housing BBC studio and switchboard room has 2 cinemas and a cafe. St Andrews, the home of golf is a mere 14 miles away with a lovely ride along the coastal road taking in small villages and ports such as Elie, Pittenweem, Anstruther and Crail. The famous fish bar in Anstruther is an ideal place to stop for lunch, before heading to St Andrews to explore and maybe enjoy a game of golf.